I can remember fondly those times during the first few months of my first son's life when I would sit down alongside his bassinet and watch him sleep. I did nothing else during those moments but sit alongside him counting his breaths, watching his tiny eyelids flutter with whatever it is that tiny babies dream of. Laundry? What laundry? Dishes? Those dishes can wait. And then I had my second baby and had less time to creepily watch my babies as they slept. The minute the baby's eyelids closed, it was as if a switch went off and my toddler would turn into the sneakiest child alive- getting into all of the things he shouldn't be getting into and climbing any and all surfaces of the house shy of the walls. And just like that, our third baby arrived and with two older kids in the mix to keep happy, well-adjusted and alive, long gone were those moments that I could spend keeping watch over my baby. It was after my second son was born that I invested in our first video monitor. I did some research, not a whole lot, and chose one that was relatively inexpensive but rated well. I liked it, sure, but didn't love it. The picture was grainy, poor reception seemed the norm and after seeing a friend's color monitor in action, I was bummed when mine was simply black and white. Now that I have three boys running amok in my house, ages 5, 3 and 1, I wish I could put a camera in every room. While I would love to be in three places at once, patting the baby's back in his crib, playing trucks with my oldest and coloring in the kitchen with my middle baby, that's just not reality. 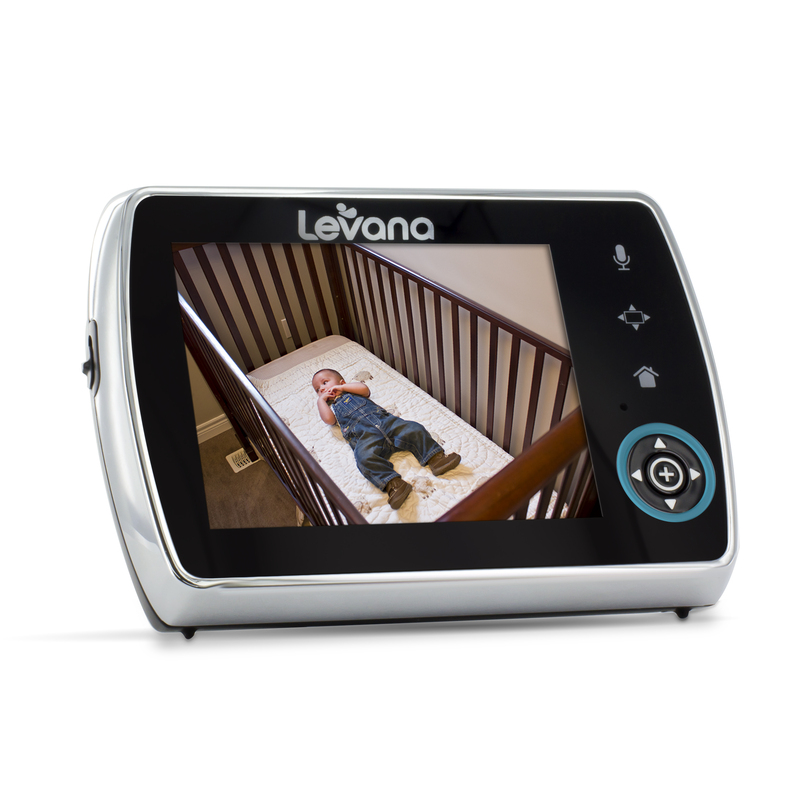 It's during these moments that I'm thankful for the Levana Keera 2 Camera digital video monitoring system that allows me to virtually be in at least two places at once. 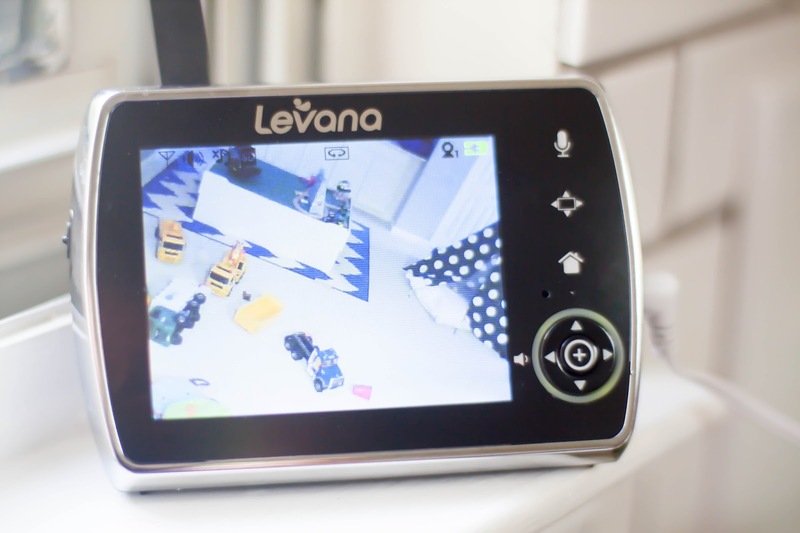 With a camera placed in our downstairs playroom and the second camera placed in the baby's nursery, I feel at ease knowing I can watch the boys play trains as well as the baby while he sleeps, all the while tidying up the kitchen or cooking dinner. Knowing that my children are safe allows me to worry less and do more whether for myself or for our family. This monitor has some incredible features that makes it one of the top monitors that I would recommend to those registering for baby, adding to their family or looking to replace their existing monitor. At first glance I was impressed with the touch and feel quality of both the monitor and camera. With a 3.5" screen, the monitor is sleek and discreet enough to blend into a room but substantial enough to give off a crisp, clear picture. Inside the box was a quick start guide to get the monitor up and running. I will admit, I was thrown off a bit by the lack of an included manual but didn't have any difficulty setting up the monitor or accessing the manual online. For those without easy access to the internet, however, it would be very difficult to truly learn all the in's and out's of the monitoring system. Below is a quick video which demonstrates the ease of use when it comes to the operating the touch panel screen as well as the video toggle switch, pan, tilt, zoom options and bonus lullaby tunes. Perhaps my favorite feature of this monitor system, second to the safe and secure wireless network it runs on, is its "PEEP" feature which basically puts the monitor and camera to sleep when no sound is detected in monitored rooms, thus saving battery life. When a noise or "peep" is detected, the camera and monitor activate allowing you to observe what's going on. Too many times to count have I been interrupted by beeping monitors and dying batteries during a child's nap time when I should have been writing. There's nothing like losing your train of thought worrying about a dying monitor, the safety of a sleeping baby and getting up to plug the monitor in! Being a mom keeps us busy in more ways than one! What is one thing you wish you could do more of? This is a sponsored conversation written by me on behalf of Levana. The opinions and text are all mine. Compensation was provided by Quidsi for this blog post.